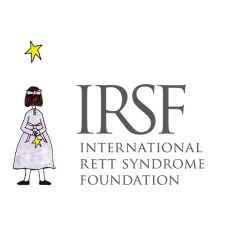 The core mission of the International Rett Syndrome Foundation (IRSF) is to fund research for treatments and a cure for Rett Syndrome while enhancing the overall quality of life for those living with the disorder by providing information, programs, and services. Research: IRSF coordinates, cultivates, accelerates, and funds research that will produce a cure for Rett Syndrome and reveal and develop treatments that will make the lives of people living with the disorder richer and free of pain and discomfort. Family Support: IRSF assists families of individuals living with Rett Syndrome by providing them with connections to critical and useful information, programs, services, and support from diagnosis to day-to-day life. Advocacy & Awareness: IRSF advocates for and raises awareness about individuals with Rett Syndrome so the scientific and medical community, policy makers, educators, care givers, and the general public can more thoroughly know, understand, and be motivated to help the research efforts and individuals dealing with the disorder on a daily basis. 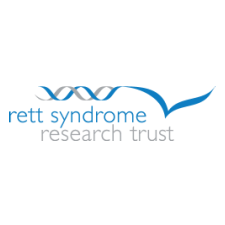 The Rett Syndrome Research Trust (RSRT) is an agile, streamlined, highly efficient non-profit devoted exclusively to science. RSRT is known for innovation, intellectual rigor, deep knowledge of the field and non-stop determination. RSRT leverages an unparalleled knowledge base and deep-rooted scientific connections to establish a unique position to identify, catalyze, evaluate, prioritize, support and monitor ambitious and novel research projects. RSRT trustees are tenacious; driven and inspired by the promise of high-impact science relieving the suffering of children and adults afflicted by Rett Syndrome and related MECP2 disorders. Supporters, rapidly growing in number, are discerning families from around the globe who draw strength from the knowledge that their efforts will have direct impact on their child’s future. The symptoms of Rett Syndrome are relentless, and RSRT’s efforts are equally relentless. Hard at work seven days a week, RSRT is responsive to the need for accurate, timely research information without bias or spin. Considering donors to be stakeholders, RSRT operates with transparency, strict accountability and unwavering dedication. 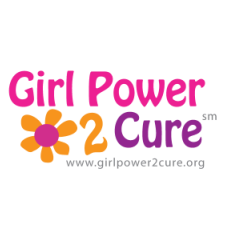 Girl Power 2 Cure (GP2C) is dedicated to raising awareness and funds for treatments and a cure for Rett Syndrome. GP2C is committed to making Rett Syndrome the first reversible neurological disorder by harnessing the spirit of girls to support fellow girls who are suffering. Support is offered for the planning and implementation of events that raise awareness and funds for Rett Syndrome research, as well as resources for families affected by the disorder. GP2C’s inspiration is the flower: always in bloom with hope and positive energy, ready to grow anywhere there is someone ready to join in their mission. 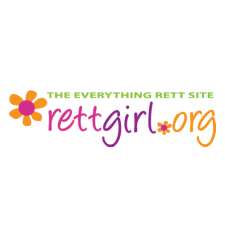 Rett Girl is a resource site for families who have daughters suffering from Rett Syndrome. Because of the devastating nature of the disorder and its effects on every part of the body, there is a great need for a variety of equipment and therapies. Rather than each family starting the search for the best products and resources all alone, Rett Girl brings forces together to benefit everyone. The site features product reviews, tips submitted by other families and a community marketplace where families can find, sell and donate use items. Everything on Rett Girl is aimed to help the Rett girl in your life fight a stronger fight against Rett Syndrome.